RCN Archives · Stop the Cap! Verizon FiOS is the fastest nationwide broadband service available. That was PC Magazine’s assessment in its ranking of the fastest Internet Service Providers of 2013. It’s not the first time Verizon FiOS has taken top honors. In fact, the fiber to the home broadband service has consistently won excellent rankings not only for its speed, but also for its value for money and quality of service. The worst thing about FiOS is that many Verizon customers cannot buy the service because its expansion was curtailed in early 2010. Verizon FiOS has seen its national speed rankings increase this year. In 2012, the provider’s nationwide download speeds averaged 29.4Mbps; this year FiOS average downstream speeds jumped to 34.5Mbps. Upstream speeds are also up from 26.8Mbps to 31.6Mbps. In part, this is because a growing number of customers have moved away from Verizon’s entry-level 15/5Mbps package with a $10 upgrade to Quantum FiOS 50/25Mbps service. FiOS TV customers can upgrade themselves with their remote control. Frontier Communications made the top five in the Pacific Northwest, thanks to FiOS infrastructure the company inherited from Verizon. Other high-ranking ISPs included Midcontinent Communications, a small cable provider serving the north-central states. Midco’s DOCSIS 3 upgrade allows the company to offer most customers up to 100Mbps service. The average download speed for Midco customers is 33.1Mbps; average upload speed is 6.4Mpbs. Where cable operators face head-on competition from Verizon FiOS, the usual competitive response is speed increases. Cablevision is a good example. It came in fourth place nationally with average speeds of 25.9/5.9Mbps. Comcast has also been boosting speeds, especially in the northeast where it faces the most competition from fiber. It came in third place with average speeds of 27.2/6.8Mbps and offers Internet speeds up to 505Mbps in some areas. There were companies that performed so poorly, they barely made the regional rankings. The most glaring example largely absent from PC Magazine’s awards: Time Warner Cable, which has lagged behind most cable operators in the speed department. It scored poorly for the second largest cable company in the country, beaten by Charter, Mediacom, and CableONE — which all usually perform abysmally in customer ratings. The only regional contest where Time Warner made a showing at all was in the southeast, where it lost to Verizon FiOS, Comcast, and Charter. Only TDS, an independent phone company, scored worse among the top five down south. Even more embarrassing results turned up for AT&T U-verse, which performed so bad it did not even make the national rankings. AT&T has promised speed upgrades for customers this year, and has implemented them in several cities. Unfortunately for AT&T, its decision to deploy a fiber to the neighborhood system that still depends on copper to the home is turning out to be penny wise-pound foolish, as it continues to fall further behind its cable and fiber competitors. At the rate its competitors are boosting speeds, U-verse broadband could become as relevant as today’s telephone company ADSL service within the next five years. Other players scoring low include WOW!, a surprising result since Consumer Reports awarded them top honors for service this year. Also stuck in the mud: Atlantic Broadband (acquired by Canada’s Cogeco Cable, which itself is no award winner), Suddenlink, Wave Broadband and Metrocast, which serves smaller communities in New Hampshire, Maine, Pennsylvania, Maryland, Virginia, Connecticut, South Carolina, Mississippi and Alabama. The magazine also ranked the fastest U.S. cities, with top honors going to the politically important Washington, D.C., and its nearby suburb Silver Spring, Md, which took first and second place. Alexandria, Va., another D.C. suburb, turned up in eighth place. No cable or phone company wants to be caught delivering poor service to the politicians that can make life difficult for them. 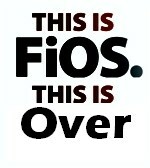 Brooklyn, N.Y., took third place because of head-on competition between Cablevision and Verizon FiOS. Time Warner’s dominance in Manhattan and other boroughs dragged New York City’s speed rankings down below the top ten. Among most of the remaining top ten cities, the most common reason those cities made the list was Verizon FiOS. Florida’s Gulf Coast communities of Bradenton (4th place) and Tampa (6th place) have fiber service. So does Plano, Tex. (5th place) and Long Beach, Calif. (7th place). The other contenders: Hollywood, Fla. takes ninth place and Chandler, Ariz. rounds out the top 10. A surprise announcement from the U.S. Supreme Court that it will hear an appeal brought by Comcast Corporation in a class action lawsuit brought on behalf of Philadelphia consumers, despite a pending settlement, may mean the Supreme Court is on the verge of issuing another business-friendly ruling that will make class action cases more difficult to file. Comcast had reached a tentative settlement in June with lawyers who brought a $875 million class-action lawsuit on behalf of Philadelphia area cable subscribers. The antitrust case, originally filed in 2003, accused Comcast of strategically swapping or acquiring cable systems owned by Marcus Cable, Greater Philadelphia Cablevision, Inc., Lenfest Communications, Inc., AT&T, Adelphia Communications Corp., Time Warner, and Patriot Media in and around Philadelphia for the purpose of creating a super-sized Comcast cable system that could deter competitors from entering the market and allow Comcast to charge higher prices for service. RCN Telecom Services originally intended to compete for cable customers in the Philadelphia region, but found it could not break into the market because Comcast allegedly hired as many available technicians it could find and tied them down with exclusive contracts. RCN also claimed Comcast targeted potential customers with special, allegedly below-cost deals to retain their business. RCN later filed for bankruptcy. “Stated bluntly, Comcast and other large cable operators have demonstrated both the inclination and the wherewithal to use their market power to crush broadband competition in their local markets whenever it has the audacity to appear,” RCN alleged. Comcast intimidates independent construction and installation contractors. Comcast prevented or tried to prevent about 15 Philadelphia-area contractors from doing business with RCN through “non-compete” clauses, RCN alleged. The company provided specific names of contractors and Comcast personnel in sealed documents. Those practices dated at least to the late 1990s, when Comcast acquired Suburban Cable, RCN said. Both Suburban and Comcast went “to extraordinary lengths to document ‘violations’ and intimidate contractors who were thought to be in contact with, or working for, RCN,” RCN said. RCN cited instances of Suburban Cable employees, many of whom later worked for Comcast, allegedly following contractors in their trucks and taking photographs to document contractors seen at an RCN office or work site. These photographs then became “evidence,” RCN said, to support contractors’ termination. As for predatory pricing, RCN claimed that before its entry into Folcroft in 2000, Comcast allegedly established a sales “swat team” instructed to sign up customers for 18-month contracts in exchange for cheaper cable services. The plaintiffs’ attorneys want subscribers to receive refunds representing the savings they would have enjoyed had a competitor successfully forced prices down. Comcast and the plaintiffs’ counsel reached a tentative settlement in June after both sides learned the lawsuit would proceed to trial this September. But in a surprise announcement, the U.S. Supreme Court suddenly decided to step in and hear an appeal filed by Comcast. Comcast immediately declared the settlement incomplete and has now declined to proceed with it, believing it has a more favorable outcome waiting at the Supreme Court. Other Supreme Court watchers suspect the Court’s sudden involvement in the case means it is likely to issue a precedent-setting decision, more likely than not in Comcast’s favor, that will be talked about in law journals for the next decade. The specific point of Comcast’s appeal that interests the Supreme Court has to do with how a class action case certifies damages to the court hearing the case. 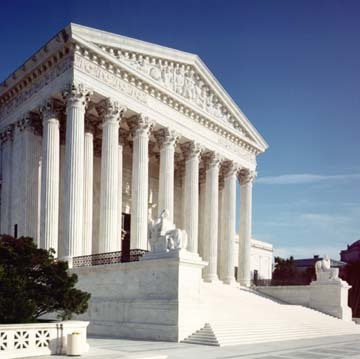 The Supreme Court agreed to hear the case based on, “whether a district court may certify a class action without resolving whether the plaintiff class has introduced admissible evidence, including expert testimony, to show that the case is susceptible to awarding damages on a class-wide basis. Currently, courts insist that the burden of proof for damages lies with the plaintiff, but they are not necessarily required to demonstrate the actual individual damages suffered by each member of a proposed class action. Many judges accept the concept of fixed group damages based on a composite of an average proposed class member. That amount gets multiplied by the number of members in the certified class action to arrive at the total requested damages. Typically, both sides negotiate a final settlement, deduct attorney fees and costs, and then class members typically get a change in a company’s policies, coupons good for a future purchase or an actual refund in the mail. The Supreme Court may find that concept inadequate, and insist on a detailed analysis of actual harm done to each proposed class member — a high and potentially expensive hurdle to cross for many class action cases. Legal analysts suggest the intended effect of such a decision would be to further deter class action lawsuits against companies, because the costs and complexities involved would increasingly not be justified. Even if Comcast was engaged in anti-competitive behavior in Delaware County, that cannot be used by plaintiffs to serve as evidence of class-wide impact for the entire multi-county Philadelphia Comcast cluster. Over the past few years, the Court has ruled in favor of corporations trying to compel less-costly legal avenues — like mandatory arbitration — for consumers who feel harmed by a company’s actions. Comcast customers in Massachusetts are hopping mad over the latest round of rate increases from the state’s largest cable operator — the second in 10 months in some areas. Higher cable bills for customers will start arriving by early spring. City officials in Boston expect eastern Massachusetts customers will face up to 2.9% more for basic service this spring. In western Massachusetts, Springfield city officials finally resolved a prolonged legal battle with the cable operator and granted the company a 10-year franchise renewal that preserves senior discounts for existing customers. Boston mayor Thomas M. Menino said an examination of Comcast’s cable rates over the past few years proves deregulation “has failed” consumers across greater Boston. Menino says basic cable rates have increased by 80 percent in the three years since the city’s rate control agreement expired. Menino wants restored authority to regulate cable rates, and has asked the FCC for permission to bring back the city’s oversight powers. Comcast basic service will rise another 4.9 percent this spring, bringing the mostly local-broadcast-channel cable service to $16.58 a month. The only other major cable provider in Boston, RCN, which serves mostly apartment buildings and other multi-dwelling units, is not planning to increase its prices on the lowest price tier. However, RCN already charges more than Comcast — $17.50 — for comparable service. Other RCN customers face general rate increases this spring. Verizon says it has no plans to increase prices in Boston either. That statement was deemed ironic by some, considering the fact the phone company has never provided FiOS fiber-to-the-home cable service inside the city of Boston. All affected providers blame increasing programming costs for the rate hikes. Residents in greater Philadelphia overpaid Comcast more than $875 million dollars, thanks to the cable company’s alleged anti-competitive practice of building regional cable clusters that scare would-be competitors away. Those are the primary allegations in a 2003 class action case brought against the country’s largest cable operator — a lawsuit Comcast has appealed, so far unsuccessfully. A three-judge panel of the 3rd Circuit on Tuesday delivered the latest blow to the cable company, denying Comcast’s efforts to get the case thrown out. At issue is the cable industry’s practice of acquiring and trading cable systems with each another to create regional “clusters,” — large geographic areas all served by the same cable provider — and what that practice does to cable pricing. All the rage in the late 1990s and early 2000s, cable clustering largely put an end to multiple cable systems serving individual cities. In the 1980s and 90s, it was not uncommon to find up to four different cable systems serving different sections of a community. Philadelphia was no different, served by more than a half-dozen cable operators in the greater metropolitan region and surrounding counties. In the late 1990s, the Court noted Comcast launched a major shopping spree to consolidate the entire area around one cable provider: Comcast. The lawsuit claims subscribers have paid the price ever since. 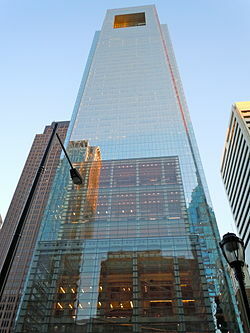 January 2001: Comcast acquires 464,000 subscribers in Philadelphia and nearby communities in New Jersey in a subscriber trade with Adelphia Communications Corp., wherein Comcast obtained cable systems and approximately 464,000 subscribers located primarily in the Philadelphia area and adjacent New Jersey areas. In return, Comcast turns over its subscribers in Palm Beach, Florida and Los Angeles, California to Adelphia. August 2007: Comcast acquires Patriot Media and its 81,000 New Jersey customers located within the Philadelphia DMA. When the acquisitions and transfers were complete, Comcast managed to build a major empire in southeastern Pennsylvania. 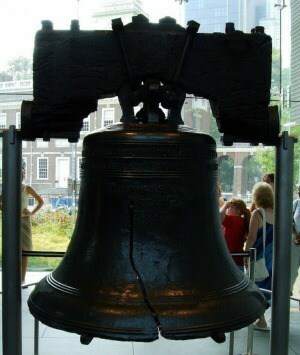 In 1998, the company had just a 23.9 percent market share in the Philadelphia DMA. Comcast managed to control 77.8 percent of the market by 2002. Despite competition from satellite television and one struggling cable competitor — RCN, Comcast still controlled nearly 70 percent of the market as late as 2007. Six Comcast customers upset with the relentless rate increases that came with Comcast’s acquisitions joined forces and filed suit against Comcast in 2003. The plaintiffs charged Comcast with anti-competitive business practices and violations of the Sherman Act for building a monopoly presence in the market that also helped keep competitors at bay. One plaintiff’s expert was able to calculate what he called “a conservative estimate” of how much Comcast has effectively overcharged customers in Philadelphia by preventing effective competition: $875,576,662. That figure was hotly disputed in Comcast’s court appeal, but last Tuesday the Court rejected Comcast’s arguments. In fact, the Court found merit in the formula used to arrive at the amount of overcharging Comcast has allegedly engaged in — in Philadelphia alone. Comcast’s argument that customers enjoy lower pricing through promotions and other special pricing arrangements fell apart when the Court learned at least 80 percent of Comcast subscribers pay regular “list prices” for service, and the expert who created the ‘wallet damage‘ formula had taken that special pricing into account. The plaintiffs suggest that had Comcast not engaged in system clustering, one or more of the area’s cable systems might have decided to compete against the other cable systems. In that scenario, customers might have been able to choose from Comcast, Lenfest Communications, Marcus Cable, and/or Patriot Cable for cable service, resulting in increased price competition. While there have been instances of traditional cable operators overbuilding into each other’s territories, those instances have been rare — a point Comcast made in an effort to have the case tossed out. Comcast’s case is that the majority of Americans are served by a single cable provider, but that’s not a problem because the industry faces increasing competition from satellite TV providers and, as of late, large phone companies. But the Court found the reason for this lack of competition could be, as plaintiffs argue, the successful outcome of the alleged anti-competitive, cable system-clustering strategy. As an example, a railway monopoly from 100 years ago could claim it isn’t economical for more than one railroad to serve a particular community, but that isn’t a problem because other forms of transportation exist to move goods and people. That argument would be based on a market reality created by the railway industry, which routinely bought out the competition through withering price wars, cross-subsidized by higher prices in other monopoly markets. The end effect was a shrinking number of competitive markets, increasing profits (and prices), and a strong deterrent for would-be competitors to enter the business. A similar case has been brought by the plaintiffs struggling with high cable bills. In their eyes, cable customers paid for the Monopoly game board on which cable properties were traded or sold. When the shopping spree was complete, higher rates were the result, indefinitely. Most traditional cable companies do not compete in areas already served by another cable company. It’s a tradition some liken to a cartel, where companies carve up territories and enjoy the market benefits afforded by a lack of competition. But this model is also considered standard operating procedure by Wall Street and other private investors, who fear all-0ut price wars cutting revenues and destroying value and profits. But there are some companies whose entire mission is to challenge this economic model: the cable overbuilders. The business plan of the cable overbuilder is to challenge the status quo and deliver service where cable TV already exists and do so profitably. One such overbuilder is RCN Corporation, which delivers competitive cable service in Boston, Washington, D.C., New York City, Chicago, and parts of the Lehigh Valley. RCN began operations in 1996 in Boston, just before the cable industry’s quest for clusters went into hyper-drive. Their plans to compete have been challenged by the ever-increasing concentration in the cable-TV marketplace ever since, and the company has had a particularly tough time attracting subscribers in the Philadelphia area. Much of RCN’s service area these days is limited to multi-dwelling units like high-rise condos and apartments, where wiring costs are lower. One of the most effective ways to keep customers from switching to a competitor is to develop or maintain exclusive programming rights. If a Comcast customer discovered his favorite sporting events could only be seen with a Comcast subscription, that could be a deal-breaker for signing up with RCN. Before the 1992 Cable Act, the cable industry which owned and controlled a number of popular cable networks refused to sell those channels to would-be competitors (or charged unreasonable prices for access). When this lawsuit was filed in 2003, RCN found itself locked out of Comcast’s SportsNet, just one of several regional sports networks that cable operators withheld from satellite and cable competitors. That’s because the 1992 Cable Act included a loophole: it applied only to networks distributed on satellite. Several regional sports channels were not on satellite, so they could, and were, legally withheld from competitors like RCN. That loophole was finally closed by the FCC last summer. But for more than a decade, RCN had to convince sports fans to sign up for a competing service that didn’t have one of the most popular sports channels on the lineup. Satellite competitors DirecTV and DISH Network were in the same boat, and the legal case recognizes the impact: satellite TV competition in Philadelphia has a below-average percentage of the market, when compared to other cities. Plaintiffs argued RCN never had fair access to programming, leaving them to compete with one hand tied behind their back. Even worse, they allege Comcast compelled local contractors into non-compete contracts agreeing not to work for any Comcast competitor, and signing customers up to unusually long contract terms with hefty cancellation penalties in RCN service areas. All of these accusations were deemed credible by the Court, much to the objection of Comcast, which argued RCN was in serious financial distress and would never be a strongly viable competitor in Philadelphia. Last week’s Court decision found that ironic, accepting that RCN’s present condition could be, as plaintiffs allege, the result of the anti-competitive, unfair business practices Comcast is charged with. The evidence on the record “demonstrates that Comcast’s alleged clustering conduct indeed could have reduced competition, raised barriers to market entry [by other competitors] … and resulted in higher cable prices to all of its subscribers in the Philadelphia Designated Market Area,” the court ruled. One of the most-disputed elements in the case is determining how much, if any, damage was done to consumers in the greater Philadelphia area. Much of the plaintiffs’ case rests on pricing anomalies found in the Philadelphia region, where customers are alleged to be paying significantly higher prices for cable service and not enjoying a significant amount of competition. To build that case, lawyers measured cable rates and available competitors in the various counties in and around the city of Philadelphia. This is also critical for determining the size of the “class” in the class action lawsuit. The larger the class, the greater risk of significant damages if the court rules against the cable company (or if the case reaches a settlement.) Plaintiffs claim their case should include all cable television customers who subscribe or subscribed at any time since December 1, 1999, to the present to video programming services (other than solely to basic cable services) from Comcast, or any of its subsidiaries or affiliates in Comcast‘s Philadelphia cluster. Comcast counters the geographic market is exactly the size of one, single household. They argue that subscribers can only choose among video providers serving that customer’s specific home, so what cable competition exists in other counties or communities isn’t relevant. The side effect of such an argument would be the end of a class action case, since the class size would be reduced from a number in the millions to just one, requiring every impacted consumer to file their own case. The three judge panel was wholly unimpressed with Comcast’s argument, throwing it out and allowing the case to proceed. Boston Mayor Thomas Menino has problems with Comcast. 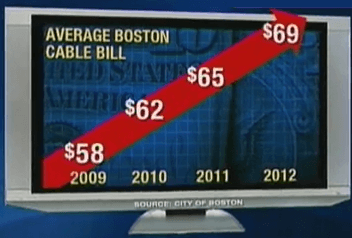 The cable operator, long a dominant player in the city of Boston, has been raising basic cable prices for the last several years, and the mayor’s office has had enough. This week Menino filed a petition asking the Federal Communications Commission to give the city “emergency control” over the price of basic cable service in Boston — the only control permitted in the largely deregulated cable television marketplace. Menino waved a study done at the behest of the city showing residents were paying substantially higher prices for the lowest level of service from Comcast. Basic Service, which includes 37 local over the air stations and a handful of shopping and public access channels costs $15.80 inside city limits — up from $9.05 in 2009. In nearby Cambridge, the same service costs $7.30 a month. What’s the difference? Cable rates are completely deregulated in the city, but smaller communities around Boston lack sufficient meaningful competition, so they are permitted by law to continue regulating rates for the lowest tier: Basic Service. Now Menino wants those rates brought back under control for the benefit of seniors and low income residents, among the 10,000-15,000 local homes that subscribe to the economy service. It’s just the latest challenge for Boston, which is among a few cities along the coast of the northeastern United States not benefiting from aggressive broadband and video competition between the phone and cable company. Just over 200 miles away, metropolitan New York and the bedroom communities in that state, as well as New Jersey and Connecticut, have access to super fast broadband from Verizon FiOS, Time Warner Cable, Cablevision, and Comcast — the latter predominately serving greater Philadelphia. 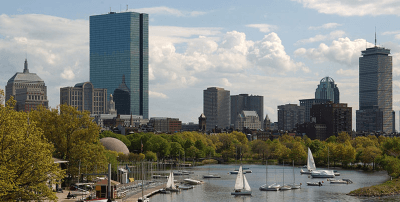 Boston has been bypassed for Verizon FiOS, is ignored by other potential cable competitors, and is stuck with poor-performing cable overbuilder – RCN, which has focused most of its efforts on multi-dwelling apartment and condo units in the city. The rest of Boston gets ‘take it or leave it’ service from Comcast or DSL from Verizon. Comcast was quick to respond to Menino’s call for reregulation, noting they provide $5 senior discounts for their cable customers and offer cheaper service than the alternatives — $17.50 a month from RCN or between $30-35 for promotions from DirecTV and DISH Satellite. Menino’s dealings with telecommunications companies in Boston have run hot and cold for years. In February, Menino appeared with Comcast senior vice president Steve Hackley to celebrate the opening of a Digital Connectors program for up to 2,800 low income households, paid for by federal stimulus grant money. Under the program, students who complete computer training courses receive discounted Comcast Internet service for $10.95 a month for the first year and $15.95 for the second year. Menino’s office has often been a watchdog when it comes to Comcast fulfilling its franchise obligations, and the city had high hopes competition from RCN would extend a choice of cable providers to most city residents. That has not happened. The city’s other telecommunications provider, Verizon, has been in contention with the city for several years. The trouble began in 2007 when Menino declared war on property tax exemptions for utility poles dating back to 1915, granted to telecom companies like Verizon. Four years later, that battle has culminated in Verizon literally wiring its fiber optic FiOS service around the city of Boston, refusing to deliver service inside it. The promise of Verizon fiber has often gone unfulfilled or delayed in many larger cities, subject to bureaucratic delays not experienced in smaller communities. Some towns and villages in Massachusetts signed franchise agreements just a few months after the company came knocking. One local official, not authorized to speak publicly on the matter, told Stop the Cap! many communities welcomed Verizon’s fiber optic initiative with open arms. The official says the local government was concerned about making sure Verizon repaired any damage to local infrastructure, abided by local zoning rules, and guaranteed they would not bypass parts of the town. Negotiators also fought for funding to upgrade equipment for the community’s public access channels, but never went into the negotiations thinking about how much they could extract from the phone company. Boston, like other large cities, prepared for protracted negotiations with the phone company over the new fiber service. At the same time, Mayor Menino infuriated Verizon when he won his property tax lawsuit against the company, collecting $5 million in tax payments that one city official rubbed in. Verizon has since stopped expanding its FiOS service to new cities. 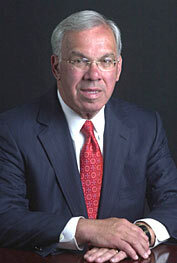 Menino’s victory claim that Verizon should pay its fair share in property taxes seems less victorious today as the phone company began passing on the new taxes to ratepayers as a “Massachusetts Property Tax Recovery Surcharge” in March, 2010. No other competitor has appeared on the horizon willing to take on Comcast in the city of Boston.